Drones burst onto the media scene at an unprecedented rate, and like any new technology there’s optimists and skeptics. The idea behind this project was to demonstrate the trajectories and stories that are on offer, have been showcased in the past, and to perhaps encourage other creatives and public individual to think about how the spatial nature of these devices offer a whole new paradigm in the way we convey content. I have a passionate background with the drone quadcopters, and it’s something I want to eventually build a career out of and own in abundance, so using these particular devices were a no brainer and something I could offer scholarly, factual, aesthetic as well as real world applications to that could persuade an audience to think about how media practices and audience experiences are spatial in nature. Of course, with passion and knowledge widely spread out across the chosen topic, comes problems in narrowing down a definitive timeline of a project. I had plans for a major looks into the assembly, the different types of drone and what they’re doing for the device’s reputation, a demographic showcase of the mindset of people when they think about drones, as well as having a whole heap of drones that I personally would review and showcase to people. These ideas were all likely to be projects in their separated state. I had to fine tune my thoughts into a collective and informative piece that still constructed a story that would cause people to think differently about a technology. This project was aimed at the general public and creatives alike who were unsure, skeptical, skilful or experts in the field of drones and their application towards tasks and aesthetics. This meant that it was both informative but also had room to grow, or showcase works of others that were more advanced than what I had access to. It also creates discussion, feedback loops as well as teaching myself personally from those who had opinions or useful criticism. I wanted to make this publically available, and for it to incorporate an essence of social utility outside of a “university only” style. Something I could have improved on this was the wider opinion of outside perspectives. Different age brackets, different individuals from various geographical locations as well as a greater number of all these factors could have generated more talking or focal points. This can be developed further to which I have every intention of doing in creating a digital portfolio of knowledge that covers everything there is to know about attitudes towards this technology. I touched on this before, however the way in which I condensed this into a singular linear trajectory was probably my biggest hurdle. I discussed heavily with my tutor and we decided to attack the project in a broad sense, that would open opportunity for debate, discussion as well as general conversation about the device. The intention with this method would be to showcase all that is good in comparison to the bad, to perhaps initiate people to think in terms of what Can be done, and then whether or not it should be done. Another challenge was not having a personal drone that could film regular or “conventional” drone shots. This meant I couldn’t run with the original idea in doing reaction videos around the university and film in real time (from a drone) what people think or reacted like when a drone took off in front of their eyes and flew around a university setting. This could be another interesting approach later in my research studies as a first hand or primary research tool. In terms of “gear” I was also not equip to conduct vox-pop type surveys, to which I substituted a survey monkey approach. The challenge with this was that I couldn’t approach people outside of the classroom for their opinions. A vox-Pop is effective in that it can get raw footage and thoughts people have on a topic by catching them off guard and recording whatever springs to mind. Again, another consideration for further insights into public opinion. Prezi as a platform was amazing in the way that the user is able to embed links that convert straight away into view-able content without leaving the site. Vimeo, YouTube and images requiring a simple hyperlink credits the sources as well as being easily navigated around the presentation. Another huge aspect of this project was shifting the control from drone manufacturing companies telling the audience what to do with this technology. Prezi is almost a metaphorical representation of this attitude because the viewer isn’t subject to a linear presentation viewing point. They can skip as fast or a slowly through the slides as they please, view as much or as little of the video as they like, as well as skip to particular points of the presentation and click and drag their way to viewing different content. The zoom feature on images is also a user friendly feature. Lastly, YouTube for the drone footage content I have aggregated is a free platform that works well with Prezi. It allows sharing options to be widely available and the footage I captured to be fully 360 degrees supportive. The results from the surveys included that for a future program or an extension of this research, demographics play a huge role in the way we consume media from drones and their spatial significance in public areas. Peers and classmates who completed the survey in terms of what’s commercially available seem to just want to know more about these aircrafts and perhaps creatives like myself need to keep producing new content that’s publically available to see their potential. Another interesting aspect is the association with the words and connotations. This can be traced into production and consumption in an Asian pacific region where the word drone in certain languages connotes negatively in correspondence with words similarly, ie. Buzz, vulture, Dark. This project is something I can use for my professional portfolio of an overall understanding of the drone implementation into society. Media industries will see the introduction of these devices for more detailed and raw footage, and having started to get people thinking about their positive impact they could potentially have if embraced and trialed with them, only has the capacity to have more around. Manufactures could definitely also benefit with this kind of research too with the way they build, market and in some cases limit their products. If we’re going to change anxieties about these devices we use in public spaces, it’s going to start with the quality and quantity of available footage we can get from creatives like myself, showing people what CAN be done. This entry was posted in BCM240, Uncategorized and tagged Drones, narratives, Prezi, storytelling. Technology has evolved at an unprecedented rate, which has given a lot of freedom to the public to communicated, be connected and entertain themselves at the slide of a button into a smart phone. The mobile phone is now multiple devices in one which means that jobs that would normally require a computer or perhaps another tool can be done with internet, gps and mobile signal. With this amazing new possibility, and portability of most tasks in daily life, our attention span to commit to one singular media event can be hindered, as the interest tends to wander due to the vast majority of entertainment options easily and swiftly accessable to the individual via their phone. “A recent study by Microsoft Corporation has found this digital lifestyle has made it difficult for us to stay focused, with the human attention span shortening from 12 seconds to eight seconds in more than a decade.” (Medical Daily, 2015) It seems the way of the technological trajectory that less is desired and consdiered more valuable. Take Twitter for example, we’re restricted to 140 characters or less which means people only want to read the headline and if doesn’t grab the attention in that amount of time then it often gets ignored. The above info-graphic was something I used in order to plan my attention span activity. With these three ideas, I set up a space that included all the media devices I had in my possession and recorded the area when it become populated with people. I wanted to see how much attention is given to particular devices, and which devices lasted the longest. As an added feature of this activity, I’ve chosen my un-technological minded mum, Justine, (who helped with the TV spaces interview) as a reflection and extension of the findings from her childhood opposed to her viewing now. My sister, Nikita, was also present with this experiment who is 19 years old. The two allowed for a demographic change as they’re both from rural areas, with TV a major source of entertainment by location. I decided to film this test in 360 degree video, as a proactive showcase of how technology has evolved so much that now the viewer can control what parts of the space they want to watch. Perhaps leave a comment below on how much you played around with the click and drag feature of 360 video, how much your attention wandered and which parts were more fascinating. It was interesting to not that throughout the video, devices that weren’t particularly familiar to the subjects, weren’t given a lot of attention to none at all! This was reflective of how our attention span is on the decline, if we can’t focus and figure out hardware (and sometimes software) nowadays, they don’t last long in a consumer market. There was also a generational shift with my sister (19) gave things more of a “trial”, such as the mini Nano Drone, whereas Mum (43) didn’t want to break anything. **note: screenshots were used until the 360 degree software was fixed…it currently has issues converting file metedata. This entry was posted in BCM240, Uncategorized and tagged 360, attention, Drones, family, Technology, Video. Something that I’ve encountered over my years of studies creating and publishing content on YouTube is their policies around copyright and how these can affect the showcase of the video being released. Many videos of mine have a copyright viewing restriction (usually banned in some countries) or a monetization policy whereby the video can’t be used commercially (or I can’t get paid for the video work) and also advertisements may appear throughout the video. This is all because I’ve used music that doesn’t fall under a creative commons license and it copyrighted for use without permission. Above is seen how an instance of media regulation was encountered by me, however I’m not against the idea of protecting someones intellectual property, I just believe if it’s stated within the video that it’s not for commercial use, showcases the artist and maybe a link to where to buy their music should be sufficient. A YouTube channel NoCopyrightSounds allows for this with the music credit to be displayed in the ‘About’ section of the content. This service is really useful for academics creating an aesthetic video and sharing works of others. This is an example of the controlling nature of media spaces and the damaging effects it can have on natural events being captured in a spare of the moment way. Built on from using music for aesthetic purpose, this video has no clear intention of piracy, it’s mere consequence. This entry was posted in BCM240, Uncategorized and tagged Copyright, Creative commons, IP, Music, Policy, Youtube. Based on the weeks gone by throughout the semester, the topics of “Media Audiences and Ethnography” as well as “Personal Devices in Public Spaces” I’d like to combine these ideologies to put together a collection of case studies that indeed aim to “Persuade an audience to think about how media practises and experience are spatial in nature”. I’d try and look at this from a new perspective of a drone and how audience perception can be changed with the narratives or ethnographic research from a device that brings in a new ‘Disembodiment gaze’. With new technologies such as 360 degree video, First Person View or FPV and Virtual Reality or VR, the applications of a drone are limited only by the users imagination, to which I’d like to challenge, unlock and inspire. Using this base from the Couldry reading, I’d like to explore the mulitplications as the various entry points to the usage of drones (VR, 360 cameras) and the multiple layers of user control they allow for commercial and leisure flight. Spatializations will look at the drone itself, the speculation from the public as well as the narratives the user and device create in a public space. And lastly mutual recognition I will apply to the policy and regulation of the human and drone technology in modern day public spaces and how this arises external thoughts of privacy. I want to explore the fears, oral panics and doubts associated with media drones in public places. The idea that when purchasing these quadcopters is initial fear not helped by aviation companies with guidelines printed in yellow and black. What are people scared of? (Name? Looks? Colours? Sounds? Privacy? The camera attachment? Who will your collaborators be? I will showcase the devices I have acquired over my years of research and would like to showcase some personal footage that introduces someone with minimal knowledge into the drone’s narrative. What kinds of digital platforms might help you explore and present what you find? This entry was posted in BCM240, Uncategorized and tagged Drone, ethnography, personal devices. Heading to the cinema in contemporary society is fast becoming a past-time in need of promotion or a new idea to rekindle the audiences to ensure its survival. 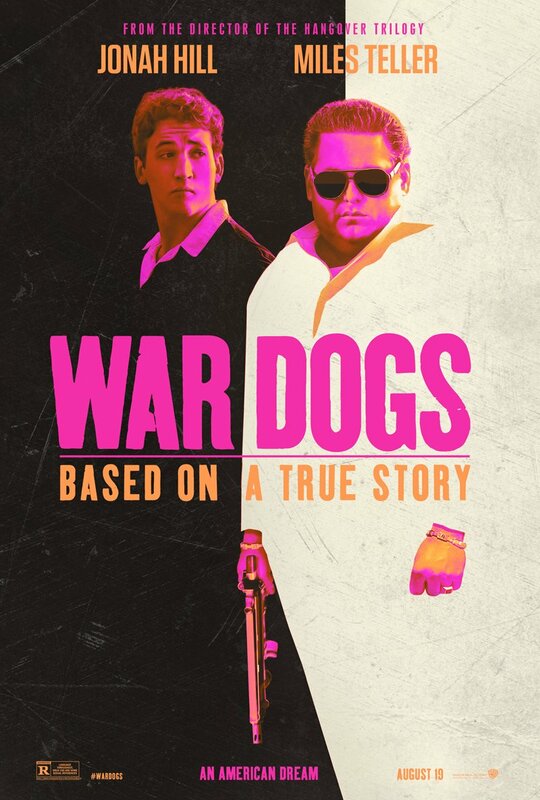 On Thursday 25th August I headed to the cinema for the second time in a week, and saw “War Dogs” drama/ comedy based on a true story set in the early 2000s. So we question, Can we get there? Personally, I teamed up with a friend as we decided to carpool to the venue. This saved us taking two cars and using more fuel than was necessary. It was also a social factor as we had company on the way there, but more importantly to discuss what we thought of the film after it finished. This allowed me to attend the film comfortably. Can I get there at the right time with those involved? This was something that was planned in advanced by the ability to look up session times and plan when the best time for both of us was. By leaving the house by 8:40pm we were able to allow time for food purcahses before heading in, to buy the tickets at the kiosk and also the 15min (approx) travel time it took to get there. The only factor involved with this constraint was the parking in which we had to determine whether the spots allocated were available to the public and also had an acceptable time period so we could watch the film and leave in time. This was achieved but all went into the decision process and planning of watching a film at the particular space opposed to at home. This was something i subconsciously accepted and expect each time i come to the space, which was interesting to notice the actual layout this visit. Going to the cinema has quirky habits it evokes onto me, including trying to sit as central as possible while estimating enough rows back that I can view the movie without straining my neck upwards, but not too far back that it seems a distant blur. I also avoid the movies if the movie showing has a risk I might not like it, or simply it’s not a sequel or spin off of a film I’m already familiar with. Thursday’s successful cinema organisation was the first time I’d sat down to a movie I had no prior knowledge about which was exciting. Overall the space offers a distraction free environment and on this occasion a quiet space (as there was only 4 other people occupying the crowd) that allowed me to practice my own preferences whilst watching a film. This entry was posted in BCM240, Uncategorized and tagged BCM240, Cinema, Non Spaces, Spaces, Torsten Hagerstand, war dogs. Returning to my interviewee from week 2, Justine Jones and I talked about her introduction to the internet, computers and how it changed the way households thought about being connected and access to information. Justine detailed that she didn’t actually have a computer until mid 2000s due to there not being a great need for them, or an ideology that they weren’t an essential part of the household. The first computer she had was a work computer that was an early laptop design however she detailed its physicality of being quite heavy and bulky. The way to connect to the internet at that point was through a dial up connection that she spoke of being a 15 minute process, “Normally we’d click ‘connect’ and go and make a cup of tea or coffee”. The process was taking the blue Ethernet cord from the home phone and plugging it into the side of the laptop, which meant no one could call the house phone at the same time the internet was connected. The laptop had it’s own space in the study or behind the dining room initially, however she detailed how a moral panic of being able to observe what “kids” did on the internet swept the news and current affairs, so eventually the family computer was moved to the loving room in full view of the occupants of the house. The fist PC that Justine remembers was a 500MB system that cost around $4000 brand new. It had Windows 95 and took around 10 minutes to boot up. The main reason the desktop computer was purchased was as her kids grew up, more and more activities were being linked to online stimulus’. Things like maths online and interactive games were being advised as homework for primary aged kids to gain extra content, plus the ability to use things like “Google Images” to enhance a project with printed pictures. 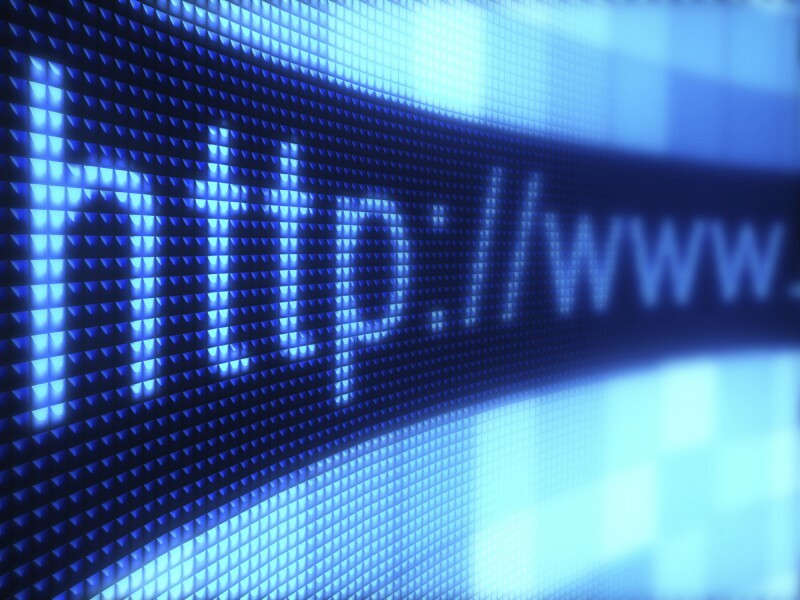 In terms of progression and transition, she acknowledged that when the internet first entered the family home it was simply associated to a computer. Smart phones, tablets and TVs had no place in the internet world yet and the computer was the only entry point to the World Wide Web. However now, the TV subscription is linked to the internet subscription and hosted by the same provider. Phones take dominance in the television spaces as the phone and tablets have entry points to internet connections through the introduction of wireless connectivity. The TV is usually on in the background, however she said that when the internet was just accessible via the family computer, more interaction was had, and less time was spent seeking other peoples social lives and staying in the loop of the world wide happenings were done with news and current affair programs. Today, the main exposure Justine gets for news and current issues is through social media pages accessed through a smart phone connected to the household internet provider. This entry was posted in BCM240, Uncategorized and tagged Connected, ethnography, Household, Internet, Interview, Network.